Quality that convinces. 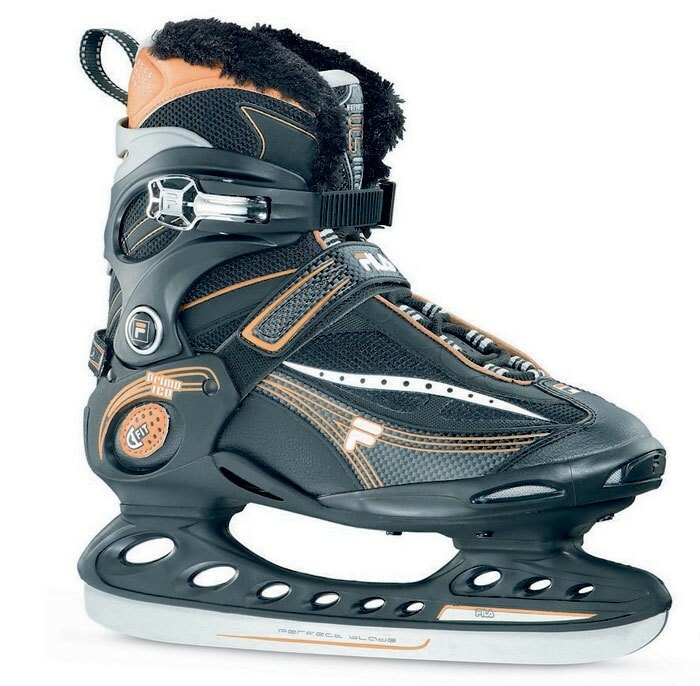 Fila Skates with soft boot and hardened blade. Visually appealing to shine in the ice rink and on the open space in every winter. Skates for adults and adolescents. One of the best and most popular recreational skates at the moment is the Fila Primo Men skate. It is perfect for men. Through a very good fit of the soft boots, no pressure points or annoying bubbles. Warm and soft to the thermal insulating material placed around the foot. Of course, the appearance is not a skate be the most important, but you still want to wear a beautiful and stylish skate on the foot. The Fila Primo Men's Ice has a preground Qualitätskufe. Comfortable anatomical structure for optimal ankle support. We have the following in our skate shop Mr. Skates: K2 ice, Bauer, Graf, Fila, Roces and Powerslide. Of course, you can also find other products in our ski shop, such as child Double runners gliders, adjustable kids skates, figure skating ice skates and hockey skates. Please do not forget the necessary protective equipment such as helmets, knee and elbow pads with order.